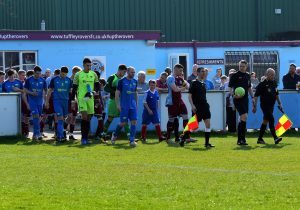 Tuffley Rovers are within touching distance of securing their place in the 2019/20 Hellenic League Premier Division, with only a disastrous series of results in the closing weeks of the season capable of pushing them back into the relegation places, as they welcome the division’s form team, Shrivenham, to Glevum Park tomorrow. When Mark Pritchett’s side travelled to tomorrow’s visitors in late-October, the two sides looked set for a tough season, with Gareth Davies’ side bottom of the table and Rovers two points ahead of them. By the end of that game, a late Sean McKeon winner, gave ten-man Shrivenham the three points, pushing them above Rovers and they’ve moved steadily up the table ever since. 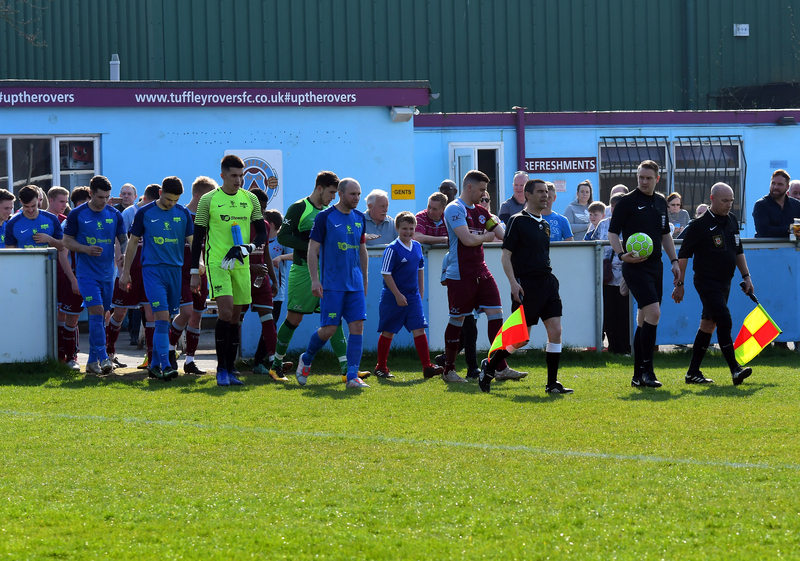 Both sides now have three games to play and a remarkable run of form – fourteen wins from their last sixteen games and no defeats – has propelled Shrivenham to fifth place, 27 points clear of Rovers, who lie in 16th place. That gap will tell Pritchett that his side, who need a point to achieve mathematical certainty that they are safe from the drop, are in for a tough challenge, but Pritchett still believes his charges can gain revenge for that earlier defeat and achieve safety at the same time. Injuries and non-availability have forced Pritchett to regularly change his line-up during the season but they have collected fifteen points from their last seven home games, an unbeaten run dating back to the start of the New Year, and the Rovers boss owes much of that excellent form to an increasing level of versatility in his squad. Luke Payne, Rhys Davies and Luke Troke have all joined the squad since the October defeat against Shrivenham and all three have shown a capability to play in numerous positions, giving Pritchett plenty of options when selecting his squad. Payne should be back in the squad for Saturday’s game, after missing the win against Binfield last time out, although another player who has filled a number of positions, Sam Hill, is unavailable. Brad Loveridge is also absent, whilst Dominik Kent is back in the frame, after a couple of outings for the Reserves since he too missed that win against Binfield. With the opportunity to shape their own destiny – as well as the potential to finish as high as 12th still a possibility – Rovers have plenty to play for and when the game kicks off at Glevum Park (3pm), Pritchett will almost certainly field a squad versatile and capable enough to leave him confident that they’ll rise to meet the challenge posed by Davies’ visiting team.